4 Parks, 1 Day, 1 Magical World: How to do the 4 Parks, 1 Day Challenge | Grand Central Magazine | Your Campus. Your Story. Walt Disney World is known for making magic and helping you create memories that will last a life time. Maybe you missed out on heading to the parks this spring break — but there’s always summer. 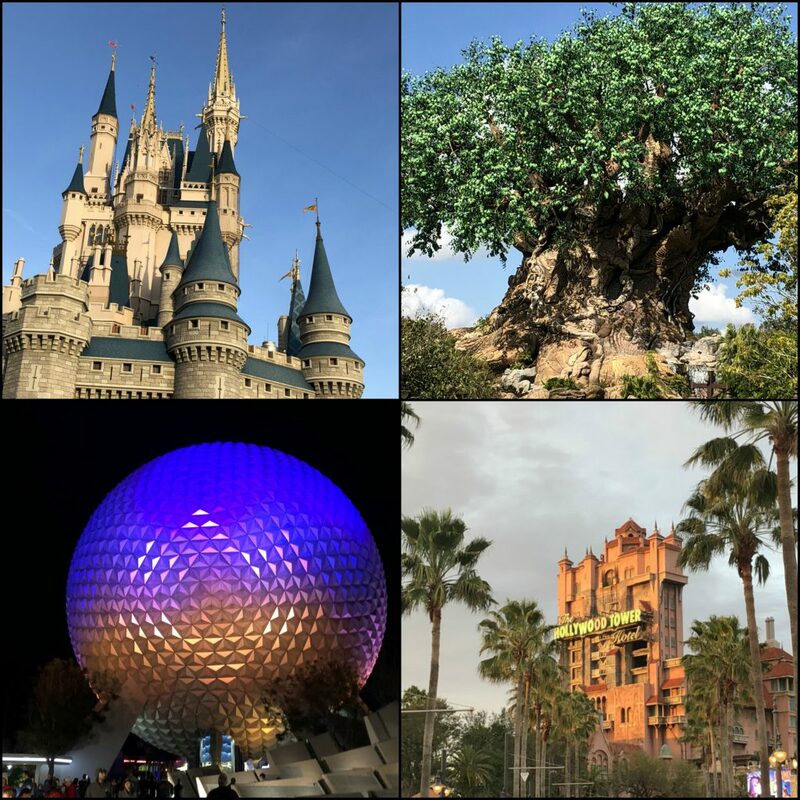 Something popular that a lot of people try to do during their trip is the four parks, one day challenge. Disney World has four parks (if you don’t count its water parks): Magic Kingdom, Disney’s Animal Kingdom, Epcot and Disney’s Hollywood Studios. Getting through all four of these parks is no easy task, because all of the parks are enormous, full of people and everyone is trying to do everything before the parks close. My roommates and I did the four parks, one day challenge successfully because we were efficient with our time and had a plan. Here are some tips and tricks we used for completing the four parks, one day challenge without completely exhausting ourselves. With any trip, you want to layout what you and your friends will be doing and when. With Disney World, a plan is vital to the trip and to the four park, one day challenge, because otherwise you may only make it to one park. Go online and check out what attractions you want to ride or see the most, and schedule things from there! Fast Passes are passes that you can book on the My Disney Experience app once you buy your tickets. The Fast Passes put you in a line that helps you get to an attraction quicker. You can book three Fast Passes in advance at one park; save those three for the attractions you really want to go on, because it will save you a lot of time. You can even create a “Fast Pass Party” so all of your friends can get the same Fast Pass. Once the three you’ve made in advance have been used, you can schedule more fast passes from there. Even though getting up early is not necessarily ideal for any vacation, it’s absolutely worth it when you’re doing the four parks, one day challenge. You’re maximizing the amount of time you have in the parks! Most people think that going to Magic Kingdom at night will be a perfect time to go, because everyone will be leaving. The only problem is that every other guest is thinking that exact same thing. If you go to Magic Kingdom in the morning and beeline it for the attractions you really want, you’ll have more time to do those things in the morning, than any other time. A lot of time spent in the parks can be waiting in line for food and snacks. Even though Disney is very efficient and the lines can move pretty quickly, it’s a good idea to pack a few things, just in case the line gets unbearably long. Every park has something that’s pretty specific to their park. If you see something that you really like, you should probably buy it as soon as you lay eyes on it because if you save it for the end of the day, it’ll probably be gone. But try to keep your shopping trips under about 30-40 minutes at each park so you don’t lose a ton of daylight. Most of the time, wait times at Disney World can range anywhere from 15 minutes, to 2 hours. No one wants to wait in too many lines, so pick your top three favorite looking attractions and go from there! At the end of the day, being at Disney World is about enjoying yourself and taking in all of the cool things that Disney has to offer. Even though completing the four parks, one day challenge can be pretty fun, don’t forget to enjoy your trip! If you don’t make it to all four parks, it’s just an excuse to come back to one of the most magical places on Earth. Separator image Posted in Events, Student Lifestyle, Students and tagged with Brittany Andrade, DCP, disney, disney college program, Spring Break, Student Lifestyle, travel.